SurveyBods Review - What is SurveyBods? SurveyBods Review – What is SurveyBods? 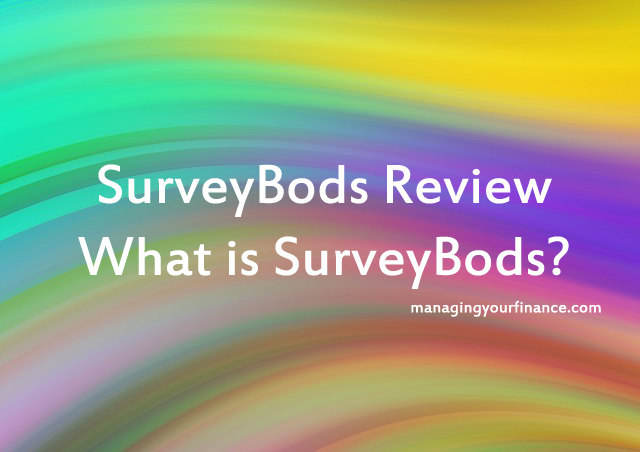 What is SurveyBods? SurveyBods is considered one of the best-paid survey sites in the UK. Can you really make money with them? Read my SurveyBods review and find out more. What is SurveyBods About? Is SurveyBods a Scam? Processing Time: Amazon voucher redemptions can take up to 5 business days. Bank payments generally take between 2-3 weeks to credit to your selected account. It is only available for the UK residents to participate in online surveys and poll. It is considered as one of the top paid survey sites in the UK. If you are residing in the UK and over the age of 11, you will be able to be part of the team to make money with them. Even if you are residents of the UK in overseas, any account created from outside of the UK will not be accepted. How to Make Money with SurveyBods? Just like any other survey panels, SurveyBods works alongside with their clients to collect feedbacks from the public on the newly products or services. These feedbacks are valuable as they serve as a reference for their next product launches. You can sign up as a member of SurveyBods for free. Once your application is approved, you will be receiving survey invites through emails. For every survey you complete, you will be rewarded between 50p and £2. There are three different ways you can make money with SurveyBods. This is where you get paid between 50p and £2 upon completing a survey online. In average, it only takes 15 to 20 minutes for each survey. You do not get paid to complete these surveys. These surveys are very short and ask if you would like to take part in a focus group. Alternatively, you will also be involved in other research activities with SurveyBods, such as providing a video diary. After the participation in such focus group, you will be asked to complete some sweet and short surveys on the brands and services that you have tried or experienced. You will hence be paid for your involvement in that research exercise. Once you complete a survey, you will be entitled to participate in their monthly prize draw. That simply means, the more survey you have completed, the higher chances (more entries) into the prize draw. SurveyBods rewards their loyal members with a unique panel status. The panel status is rewarded depending on how many surveys you complete. There are five different panel status you can achieve. They are bronze, silver, gold, platinum, and diamond. With these recognitions, SurveyBods direct specific competitions and prizes to you depending on the panel status you have achieved. The higher the panel status you have the better the prizes is up for grabs! Once you have earned £15 (1500 points), you can cash out with an Amazon gift card, cash via a bank transfer or check, a Tango gift card or with sweepstakes entries. It is noted that the incentive normally are highlighted in the initial survey invitation for each survey. Amazon voucher redemption (codes will be sent to your emails) can take up to 5 business days. Bank payments generally take between 2-3 weeks to credit to your selected account. (+) This company is fairly clear with their policies. (+) The collected points do not expire as long as you are still an active member of their program. (+) They do not attempt to sell their customers products or services by sending spammy emails. (+) Relatively low cash-out threshold (1,500 points), £15. (-) Limited survey invites due to the regulation of the Market Research Society in the UK (MRS) and ESOMAR (Europe). The regulation limits the number of surveys people can receive over a given time to prevent ‘survey burnout’ and potential spam. (-) You get screened out in the middle of the survey. Each survey will ask you a few questions before you start. If you do not qualify, you will then be screened out. However, SurveyBods still reward you a ticket to be entered into the monthly prize draws. (-) Only available for residents of the UK. SurveyBods is a legitimate survey site but it is only available to those who reside in the UK. Although the rewards are relatively higher as compared to other paid survey sites, the survey invites are limited due to the UK and European regulations. I would recommend SurveyBods if you are keen to make extra cash by taking surveys. 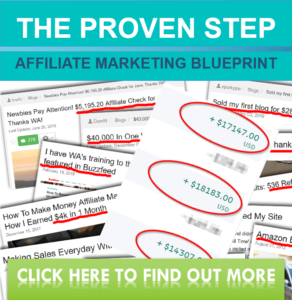 If you are looking for a way to make passive income online, you should skip this. There are many other ways to make real sustainable income online. I don’t like the reliance on survey panels in order to make bad money. Instead, I do affiliate marketing (it’s different) and rely 100% on myself to build an income online. If you are interested in alternative ways to generate a real passive income online, you might want to consider running your own legitimate online business. If you want to know more how I make good passive income online, you should read the following posts. For those who have tried SurveyBods, share your experience with us. How to Buy Litecoin in Singapore via Bank Transfer and Credit Card? Great information you have here. Amazing website, and thanks for sharing your knowledge. Great thanks Jenneh for dropping by to give it a read.